I recently spoke to filmmaker Drew Smith about his upcoming short film The Passage to Darkness, currently crowdfunding (link below). Here is the interview I did exclusively for The Grave Plot. Max Zaleski: Hello Drew! Thank you so much for taking some time out of your day to chat with the Grave Plot Podcast about your upcoming short – The Passage to Darkness. Drew Smith: Hey Max, Thanks for having me on and thanks for helping spread the word on my project. Really appreciate it. MZ: Why horror? What brought you into the world of macabre? What is your favorite film(s) in the genre? DS: Horror is an interesting genre. Horror has been my go-to genre for as long as I remember. Growing up I remember watching UPN on Sunday afternoons and they would show (edited) versions of horror movies that I was probably too young to even watch at the time. A lot of my fondest memories are of horror. I love being scared and creeped or grossed out by what I see. So I love the idea of being the person behind that feeling for other people. Favourite films in horror… Man, that’s the hardest question to ask. I could probably list a million and one, but I won’t (laughs). I grew up in the late 80’s/early 90’s so I’ve got a huge soft spot for practical effects-based horror. The Thing is an instant classic and maybe one of the greatest ever. Evil Dead 2 is maybe the most re-watched movie I love. The Fly, Alien, American Werewolf In London. But I also have a weird love of like Leprechaun and Gremlins. MZ: How long have you been working on this short? Do you have any other film credits or training? DS: My co-creator and writer Michael Silva & I started working on this project back in October of 2016. We worked together to make an Indiegogo pitch video in March of this year to give a visual feel of the project and now we’re in the process of working towards making a longer and larger scale story. Well, I graduated from Vancouver Film School in 2015 with a degree in Producing For Film & Television as well as Production Design. After school I started working on sets in the Production Design stream. Mostly doing Costumes, Set Building and Art related positions. I’ve also worked doing Stunt work (mostly hockey related projects), this is the 2nd project that I’ve been the Producer for. I made a short film in school that I wrote and produced. MZ: I see that you’re on IndieGoGo – do you or any of your other partners on this film have experience crowdfunding? DS: I’ve personally been involved in quite a few Indiegogo or Kickstarter campaigns over the last few years. This is the 2nd one that I’ve been spearheading and definitely the first one that I’ve been campaigning with this much money in mind. All of my creative team have some form of experience using these platform to raise money for films. It’s definitely a challenge, but it’s an attainable challenge to reach our goal through this type of fundraising. Getting people to give you there money for a concept is surreal and can be hard. Hopefully we’ve got enough energy and personality that people will enjoy what we’ve made already and help support us in our dream. MZ: In your trailer, there’s a book that looks like the Necronomicon from the Evil Dead series; was that at all an inspiration for your team in conjuring up that book? DS: Yeah definitely. Both Michael and myself love Evil Dead a lot, I actually have an Army Of Darkness poster in my office at work. So when we came up with the concept we definitely had them in mind. What we actually did was we knew an amazingly talented Practical Effects Makeup artist through attending the school, Jordanne Eggie, and we pitched the idea to her, knowing she had this natural ability to just think of a concept, make a couple sketches and then power out this creation we did give her some free reign to do what she wanted with it. But what ended up coming out was perfect, we couldn’t have been happier with what the final project was. The book itself is covered in Latex to give it the appearance of skin, and to the touch is disgusting how much it does. She did an amazing job. And without her involvement I don’t know that we would be able to make the exact film we’re looking to make. Practical effects might be a dying breed in horror, and in film in general, so when you find someone as talented in it, it can make or break your film. MZ: What are some other inspirations for the story? Will this be a horror film that relies on the audience knowing horror tropes or are you trying to reinvent the wheel? DS: I think it’s a little bit of both for sure. 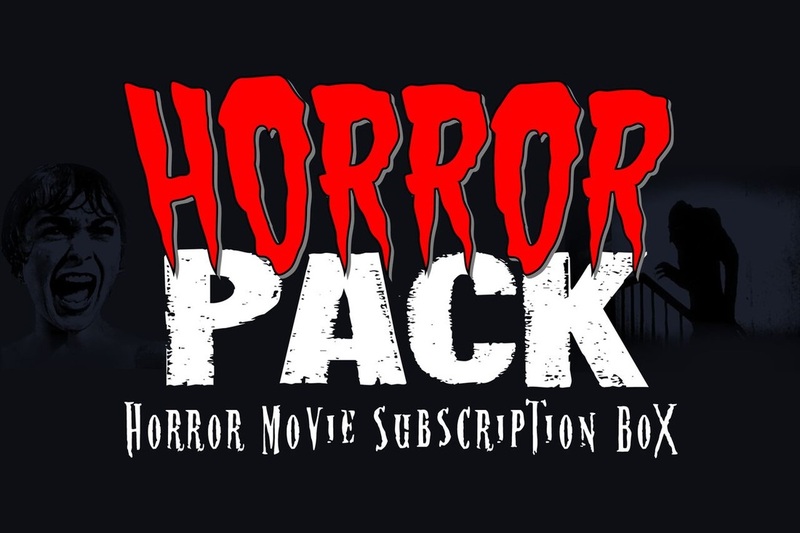 We definitely wanted to cater to horror fans that grew up in the same era of film as we did. People that grew up with Practical Effects oriented horror of the 80’s and 90’s. But anyone that horror isn’t their favourite or something they would usually watch, we’re hoping to get them to see the fact that it’s a lower budget indie film, but with the amount of work and talent in the visuals they will want to watch the film. Personally, I feel like horror is a really hard genre to reinvent. It’s been done a few times over the course of the genre but not too often. Blair Witch, The Ring/Ringu, Paranormal Activity, Insidious. It’s hard to break away from the clichés, the generic, the mundane. This project has evolved over the last year from something to something else. And who knows it might evolve a third time before we go to camera. There are always going to be similarities and comparisons of everything so the best thing you can do is either embrace them or acknowledge them and adapt. MZ: I see that, in the trailer, you rely on demonic symbolism – will the film carry that tone throughout or are there other genres within horror you want to touch on in this particular short? DS: Oh yeah. Big time. All of the Latin read in the trailer is authentic Latin. My director researched it out and got it down as perfectly as he can. We’re definitely going to have more of that. Isn’t the basic concept of horror Good vs Evil? So you need to think about that when you’re making a horror. There will be aspect of other genres in the film but the idea is be as dark and unsettling as possible. MZ: When this short is a success, do you think you’ll continue making horror short films or do you want to branch out into other genres? DS: The plan is to finish up this project and move on to make more. I’ve been working on scripts on and off for the last year or so in anticipation of making another next year. Hopefully one a year would be wonderful. I do want to branch out a little bit though. I have a few scripts on the go that aren’t horror, or traditional horror. I love film, all genres, all stories and characters so as much as I love horror I would love to be able to branch out into everything. MZ: Where can Grave Plot Podcast fans find information on you, the short, and your partners? DS: Well as we mentioned, there is an Indiegogo campaign up and running right now. We’ve got some really cool concepts there, plus great incentives for people that want to donate and help us out, but that also would love to get some cool swag and memorabilia for helping us out. We’re also on all the major platforms. Max: Drew, thank you so much for your answers and we can’t wait to see the final product – hopefully in spring of 2018! 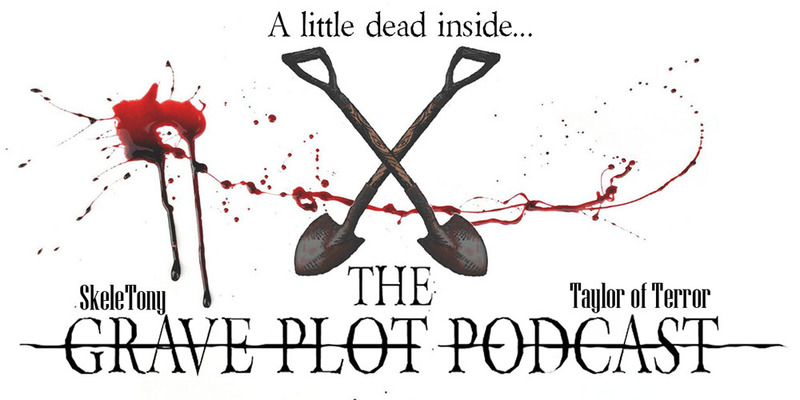 I’m Max Zaleski for The Grave Plot Podcast – where we’re all a little dead inside. An ancient spell book that can summon the darkest evil and a group of campers fight for their lives. | Check out 'The Passage To Darkness Short Film' on Indiegogo.